A World War I recipient of the Distinguished Service Cross is honored with a monument in New Haven’s West River Memorial Park. 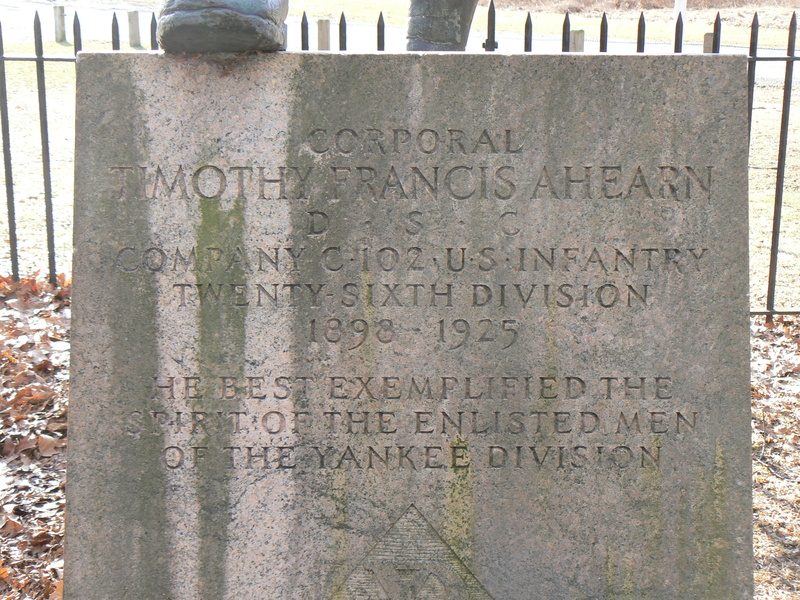 Timothy Ahearn, an infantry corporal, was honored for actions on October 27, 1918, near Verdun, France. After the officers and sergeants of his company had become casualties, Cpl. 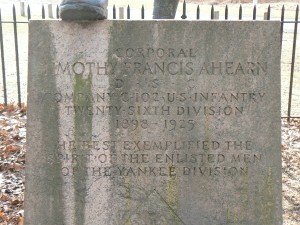 Ahern assumed command and organized the remnants of his unit. 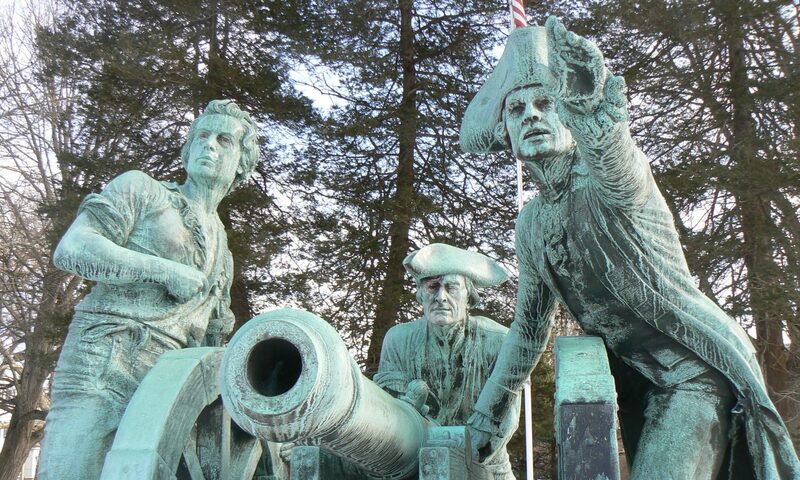 He led the men through heavy fighting, and, later that day, rescued a wounded officer while facing machine gun fire. The monument, dedicated in 1937 as part of the New Deal’s Federal Art Project, depicts Ahern writing a note to regimental commanders describing his actions and requesting replacements. 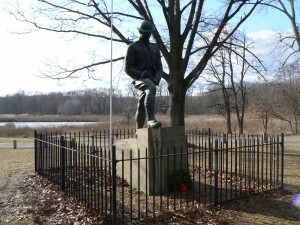 The statue, near the intersection of Routes 10 (Ella T. Grasso Blvd.) and 34 (Derby Ave.) was created by sculptor Karl Lang, who was also responsible for the Veterans’ Memorial Flagpole in Darien’s Spring Grove Cemetery. 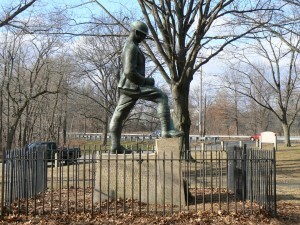 The east and west sides of the monument’s base include additional information about Cpl. 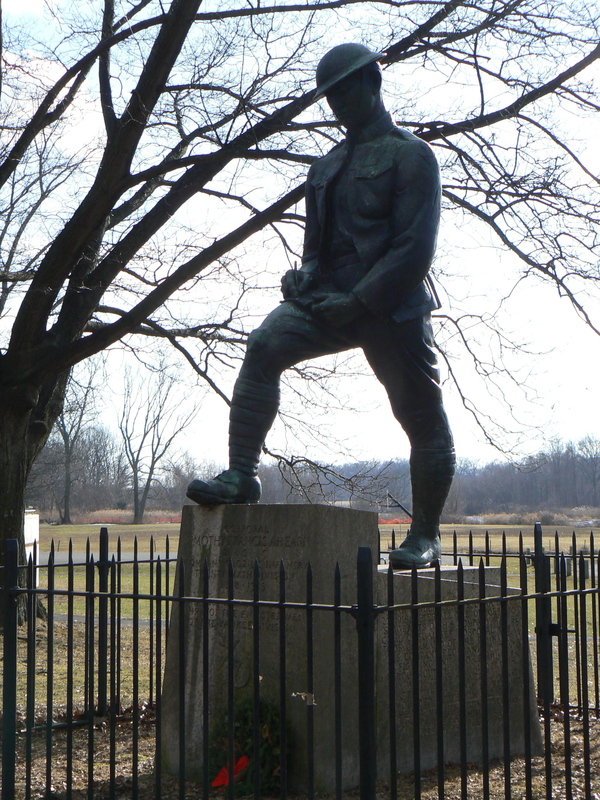 Ahearn’s bravery in combat. 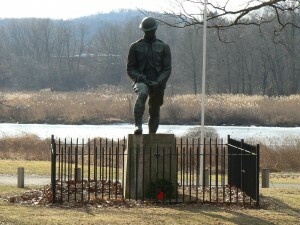 The south side of the base has a bronze plaque describing the monument and listing the committee and the local veterans’ organizations responsible for its construction.